The church leader's guide to thoughtfully managing church finances. 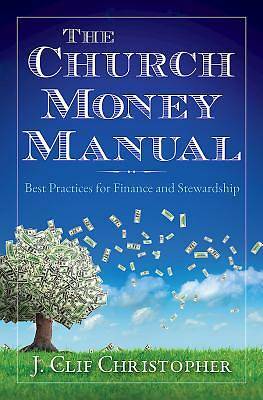 Each mini-chapter attacks a particular problem or perennially critical theme related to church money management and stewardship. Over the course of a decade, Dr. J. Clif Christopher has secured more than $500 million for his clients, which include churches, conferences, synods, and diocese in all phases of building, finance, and church growth, and now your church can take advantage of his extensive consultation experience in The Church Money Manual. This is the most up-to-date and easy-to-use financial management handbook for churches of any size covering perennially critical themes in money management and stewardship. Planned giving, finance committee member selection, and strategies to increase end-of-year giving are a few of the topics covered in this go-to resource. There are additional resources available for this title on Cokesbury’s Free Downloads page.